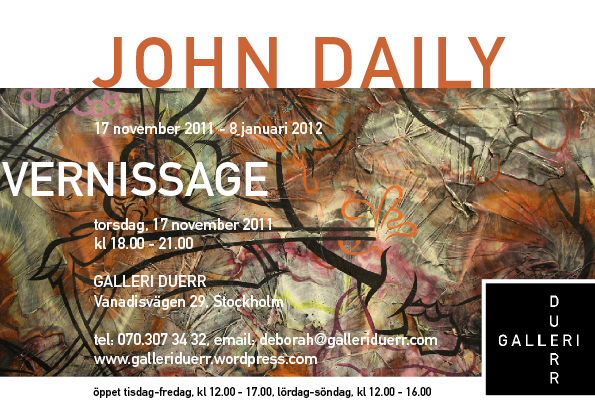 John Daily exhibition opens this Thursday evening! John Daily is an American-Swedish artist who lives and works in Stockholm, Sweden. Wrote manuscript with Maciej Kalymon for his short film “One of Us Is Gonna Die Young”, 2005, which was shown at the Gothenberg Film Festival in 2005. Previous “OUR BACK ROOM” Vernissage and Exhibition!